With well-known audiophile brands Sonus Faber, Audio Research, and McIntosh Laboratory -- all now owned by the McIntosh Group -- all on display at a luxe SoHo townhouse converted to a showroom and renamed World of McIntosh (WOM), you’d be forgiven for thinking that all of those companies’ products are made in the same factory. 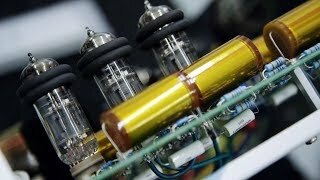 But Sonus Faber is based in Vicenza, Italy; Audio Research in Minneapolis, Minnesota; and McIntosh in Binghamton, New York. The McIntosh Group’s CEO, Charlie Randall, is well aware that a brand umbrella can be used effectively for marketing -- there’s strength in numbers. 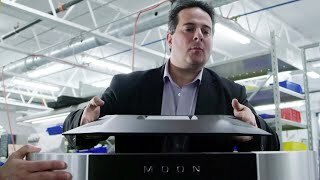 He also knows that it can blur the identities of individual brands, a risk the McIntosh Group ran when they conducted the North American launch of two flagship speakers -- the Sonus Faber Aida and the McIntosh Laboratory XRT2.1K -- at a single event at WOM on February 1 and 2. 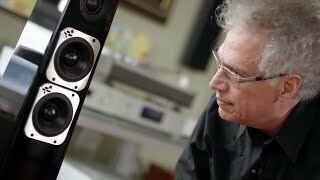 Each new speaker costs $130,000 USD per pair, both speakers are updates of earlier models, and both were worked on by acoustical designer Paolo Tezzon and industrial designer Livio Cucuzza. The names of Tezzon and Cucuzza will be familiar to Sonus Faber fans -- together, they’ve directed the design of every speaker the company has made since 2010. But while Cucuzza’s skills have also shown up in some of the sister brands’ products, such as Audio Research’s G and Foundation lines, this is Tezzon’s first foray outside Sonus Faber. 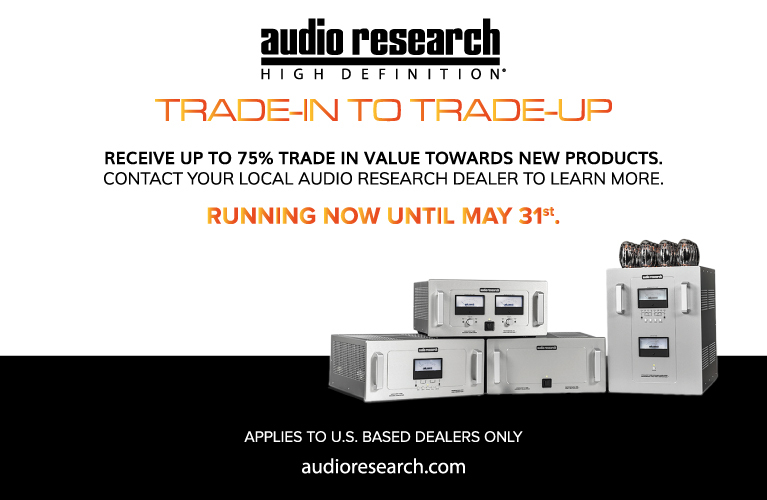 Because both speakers are aimed at the same target market, it made sense to show both to a select group of North American journalists and dealers at a single event. 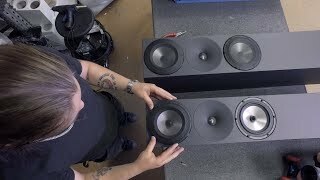 It could have been done in one day, but Randall told me that he wanted to make it clear that, despite their identical prices, design credits, and parent company, these are two distinctly different speakers from distinctly different brands. 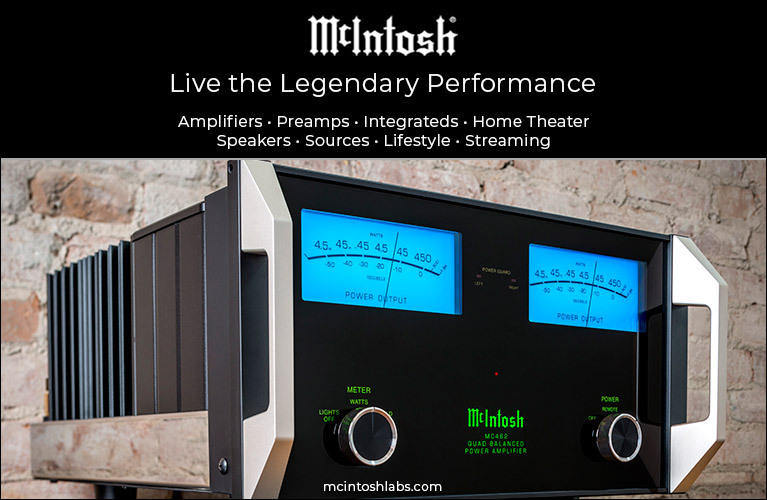 Hence, the McIntosh XRT2.1K was presented the first day, the Sonus Faber Aida the next. I think it was a wise decision, even though the speakers are nothing alike -- technically, visually, and sonically. The XRT2.1K, like the XRT2K it replaces, is a line-source speaker with dynamic drivers -- essentially, columns of many closely spaced drivers. 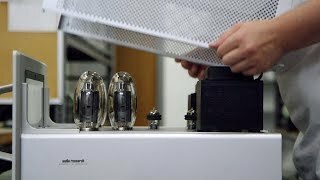 Paolo Tezzon had not only never worked on a McIntosh speaker before, he’d never created a line-source design. 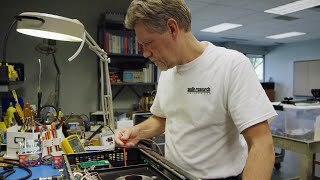 Fortunately, he didn’t have to start from scratch -- he had the original XRT2K to work from, and he consulted with that speaker’s lead designer, Carl Van Gelder, now retired. 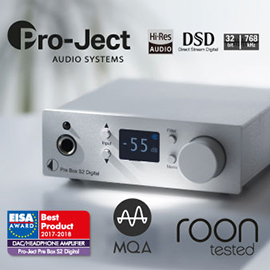 At the February 1 WOM presentation, Livio Cucuzza explained that when he starts designing a new product, he often looks to things outside hi-fi to help him along. 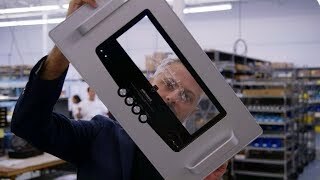 For instance, in creating Sonus Faber’s SF16 all-in-one speaker system, based on the company’s original Snail project of about 1980, he looked at the hood of a 1969 Camaro to help him create the shape. For the XRT2.1K, his inspiration came from modern skyscrapers. While the XRT2.1K bears a strong enough resemblance to the XRT2K to remind you of its origins, every one of its components is new. Whereas the XRT2K was a three-way speaker with forty 0.75” tweeters, sixty-four 2” midranges, and six 12” woofers, the XRT2.1K is a four-way design with forty-five 0.75” tweeters, twenty-eight 2” midranges, two 6.5” upper-bass/lower-midrange drivers, and six 8” woofers. 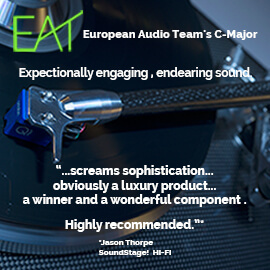 Tezzon said that the new drivers are far superior in output capabilities, which allowed him to design a speaker that reaches lower in the bass, has lower distortion, and whose output is more linear throughout the audioband. What I found most interesting is the addition of the two lower-midrange drivers on the main cabinet, angled inward a bit (the XRT2.1K is sold in mirror-imaged pairs). Their cones are made of a composite of nanocarbon fibers and Nomex, as are the woofer cones. Tezzon told me that he added these two drivers to get a better blend of the bass and midrange, on and off axis. 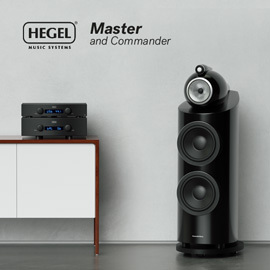 Another notable difference is that the original speaker had two columns of midrange cones flanking the column of tweeters, while the new model has one column of midranges alongside the column of tweeters, all with aluminum-magnesium diaphragms. Tezzon explained that the two columns of midranges caused some comb-filtering problems; that is, the drivers’ outputs interfered with each other. The new and old cabinets are the same height, 7’, but the materials are different. The XRT2K’s enclosure was made entirely of aluminum; the XRT2.1K’s is mostly of wood covered in high-gloss black lacquer, with polished-aluminum inserts. This combination of colors and finishes makes the XRT2.1K look far more contrasty and flashy than the XRT2K, but, as in all of Cucuzza’s previous designs, the visual flair is tasteful. Set up in the WOM townhouse’s enormous main room (53’L x 27’W x about 20’H), the McIntoshes looked gorgeous against the brick walls, and the floors and shelves of dark wood. This iteration of the Aida wasn’t new to me -- I wrote about its European launch last November for SoundStage! Global, while attending the 2017 Audio Video Show, in Warsaw, Poland. Back then I called the new model the Aida 2017, to differentiate it from the original Aida, launched in 2010. Even with substantial differences in design and engineering, the Aida looks largely unchanged, despite its new finish of wengè, an African hardwood (Millettia laurentii). 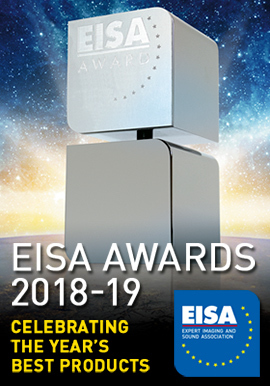 When Cucuzza talked about the Aida 2017’s appearance in his February 2 presentation, he told the group what he’d told me last November: “Aida is Aida.” By that he meant that he didn’t want to mess with his first success for the company: the original Aida was the first Sonus Faber speaker for which he had been completely in charge of industrial design. That Aida, lauded for its beauty, introduced the cabinet with a lyre-shaped cross section that was later incorporated into many other Sonus Faber models. That’s not to say that Cucuzza had little to do for the Aida 2017. Tezzon replaced every driver -- the motors of the new ones all include neodymium magnets, for one thing -- and revamped the entire crossover with a much more sophisticated topology, forcing a complete redesign of the cabinet’s interior because of all the chamber differences. 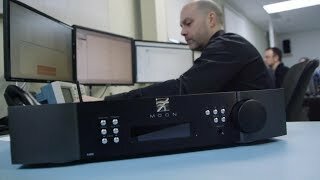 Tezzon explained that he felt compelled to make all these changes because of everything Sonus Faber had learned since the launch of the Aida 2010. Most noteworthy is the Aida 2017’s crossover, which Tezzon described last November as “three-and-a-half-way.” However, when I wrote my article, I called it a three-and-two-thirds-way -- the operation of the Aida’s bass drivers is a bit more complex than in a three-and-a-half-way. Later, I told Tezzon that a term PSB’s Paul Barton coined for a similar topology, “transitional five-way,” might be more appropriate. Now I’m not so sure, because of something else in the Aida 2017: the rear-firing drivers with adjustable output levels – two midranges and one tweeter -- which are part of what Sonus Faber calls their Sound Field Shaper technology. There may be no correct term for the Aida 2017’s new and intricate crossover. On the speaker’s front baffle are one 1” tweeter, one 7” midrange, and two 8.7” woofers. The midrange and tweeter are crossed over to each other at 3kHz using what Sonus Faber calls its Paracross topology, claimed to better maintain phase integrity by beginning with shallow slopes, then transitioning to steeper slopes. It gets trickier: At 200Hz, only the upper woofer is crossed over to the midrange driver -- the lower woofer is low-pass-filtered at 150Hz. Tezzon said that low-passing the lower woofer instead of running it parallel with the top woofer, as in the original Aida, makes the reproduction of deep male voices, such as Leonard Cohen’s, much clearer. There’s more: A 12.6” subwoofer at the bottom of the cabinet augments the bass output below 55Hz. That additional driver and the overlap of the two woofers’ outputs is why I at first called it a three-and-two-thirds-way design. And still more: the two 3.15” midranges and one 1.15” tweeter on the back. These rear-firing drivers aren’t crossed over to any of the front drivers; instead, their purpose is to add some extra energy to the middle and high frequencies to achieve a better sound power response in the room. The level of each Sound Field Shaper driver can be adjusted, depending on the room the speakers are used in. Less output would likely be best for smaller rooms, more for larger rooms. At the WOM townhouse, that adjustability helped some: the Aida 2017s were demonstrated in a smaller room measuring 23’L x 13.6’W x 8’H. 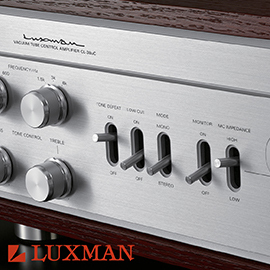 Line- and point-source speakers energize rooms differently. With a well-designed line-source loudspeaker such as the McIntosh XRT2.1K, soundwaves emerge in a beam that’s vertically tight but horizontally broad, with little midrange and treble energy directed toward the floor or ceiling. Point-source speakers such as the Aida disperse sound more evenly, bouncing much of it off the floors and ceiling. 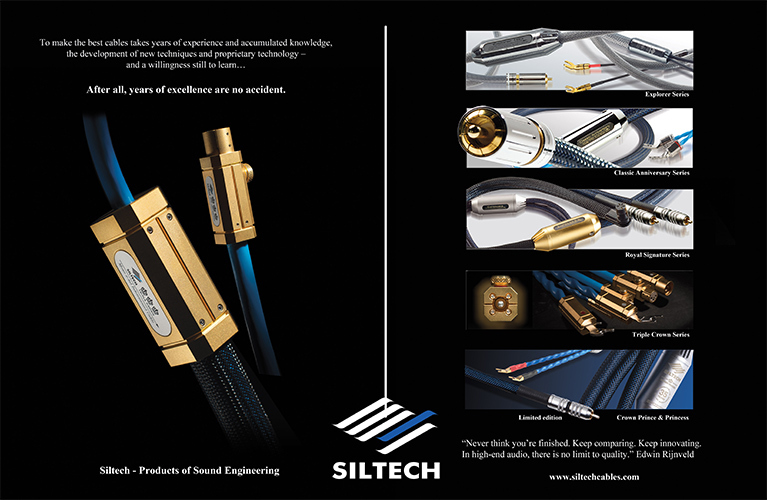 Because a line-source speaker’s beam is tighter, its output decreases by only 3dB for every doubling of the distance from the speakers, compared with 6dB for point-source designs. Obviously, a very tall line-source speaker such as the XRT2.1K needs a big listening space, which is why they were demoed in the WOM townhouse’s biggest room, driven by really big amps: McIntosh Laboratory’s new 1.25KW monoblocks ($25,000/pair), also just launched. 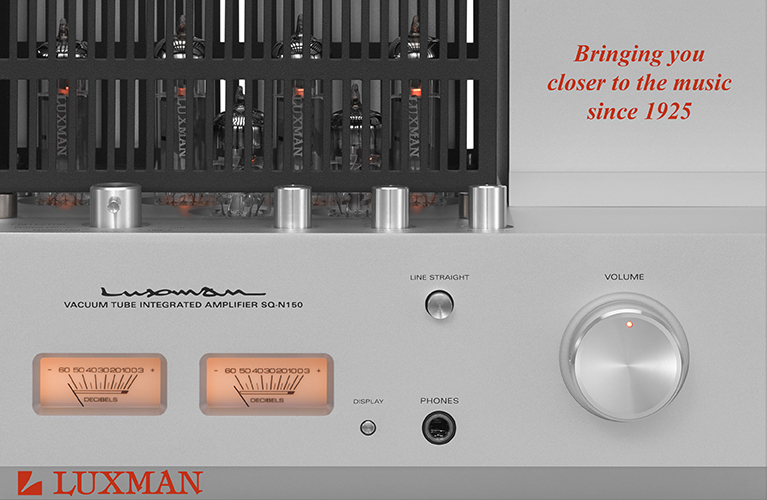 Tezzon wasn’t scared to unleash the 1.25KWs’ power: 1200W from each amp into 8, 4, or 2 ohms. They showed off not only the full-range, room-filling power of the speakers, but also how cleanly they could play, at volume levels from low to high. “Summer of Love,” from U2’s Songs of Experience, at high volume almost made me jump out of my seat -- Bono’s voice and the Edge’s guitar sounded extraordinarily detailed and astoundingly clear. In that very reverberant room it was hard to gauge with any confidence the McIntosh XRT2.1Ks’ soundstaging, especially as no tracks were played that contained any great illusion of width and depth. With “Summer of Love,” however, Bono’s voice was reproduced very solidly at the center, while the positions of the instruments were easy enough to visualize elsewhere in space. What I was most taken with was the XRT2.1Ks’ clarity and effortlessness of sound -- not only with the U2 track, but every recording played. At one point, I walked in during an electronica track with subterranean bass beats and dynamic midrange sounds, all of which the XRT2.1K reproduced powerfully, effortlessly, and clearly. Another song featured a strong male voice I couldn’t identify, and that, too, sounded really good; like the U2 track, it was wickedly detailed, clean, and lifelike. Most speakers would sound congested at such high playback levels; these sounded so pristine and unforced that I knew they could have played even louder without strain. If you have the space, the amplifier power, the desire to listen to music at realistic levels that few audiophile speakers can match -- and a lot of cash -- seek out the XRT2.1K. After hearing the Aidas play in a pretty big, acoustically treated room in Warsaw last November, where they were being driven by Audio Research electronics and sounding astoundingly good, I wondered if they could match that performance in the WOM townhouse room -- it was about half as wide and not as long as the Warsaw room, with a lower ceiling. They couldn’t, or at least they didn’t. Again, the electronics were all ARC, but the Aidas were only about a foot from the wall behind them -- even with the Sound Field Shaper drivers turned way down, the speakers didn’t have much room to breathe. 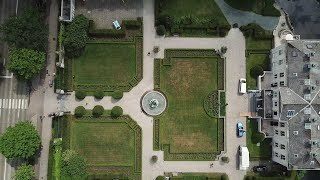 Their soundstages weren’t nearly as wide or as deep as at the 2017 Audio Video Show. Nor was the room big enough to permit the depth of bass that I know a pair of Aida 2017s can produce. On the positive side, at least the deepest bass frequencies didn’t overload the room too much -- there was a smidgen of bass blur from time to time, but nothing really objectionable. Sonus Faber’s William Kline had compiled a well-curated playlist of demo tracks that showed the Aida 2017 to be a very neutral- and natural-sounding speaker with an extended and sweet top end and an almost magical midrange, particularly for the reproduction of voices. The level of detail revealed also hinted at the high resolution the Aida is capable of -- this big speaker does not lack finesse. From what I could tell, the other listeners really enjoyed what they heard from the Aidas -- but I knew, from my experience in Warsaw, that anyone who heard the Aidas 2017s only in New York hasn’t really heard them yet. 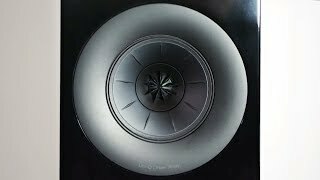 If you seek these speakers out, hear them in a great listening room of some size -- what I heard at AVS 2017 indicates that the Aida 2017 is one of today’s very best superspeakers. The Sonus Faber Aida may have been hamstrung by the room at the World of McIntosh demo, but those present could still tell that it’s a cutting-edge design, and as different from McIntosh Laboratory’s XRT2.1K as Italy is from the US. In fact, those unaware of the McIntosh Group might be surprised that the makers of both models are owned by the same parent company. Here’s to Charlie Randall & Co., who are proving, through the products coming from the McIntosh Group, that you can have strength in brand numbers while retaining the distinct identities of individual brands.